Everyone likes to be remembered for special occasions, whether it’s a birthday, wedding, anniversary, housewarming, retirement, graduation, Christmas, or another special holiday. One great way to give a memorable gift is to choose something that can be personalized. While your grandmother may have had monogrammed pillowcases, personalized gift giving these days isn’t limited to the way grandma used to do things, although we can take our cue from this tradition. Giving someone a personalized gift is a great way to show how much you care, and how well you know the person. A personalized gift can form or strengthen a personal connection between the gift giver and the recipient. Do you know someone who is getting married? A personalized wedding gift with the couple’s names or initials incorporated into the gift can be a lasting memento that they will cherish for many years to come. 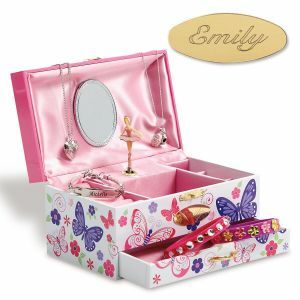 Children enjoy personalized gifts for many reasons. A gift with a child’s name on it can make them feel special, help distinguish their gift from something that belongs to a sibling and give the child a sense of pride. For younger children, it can reinforce colors, letters of the alphabet, and how to spell their name. Personalized gifts are fun for both the gift giver and receiver, and can be humorous, sentimental or practical. Custom gifts can be inspired by personal experiences and be a wonderful reminder of a favorite event, person, or memory. Perhaps you know someone who just got a big promotion at work. Buying them an engraved business card holder or pen set is a practical and thoughtful way to celebrate their success and compliment them on their achievement. Maybe there’s a world traveler in your inner circle who needs something practical and useful. 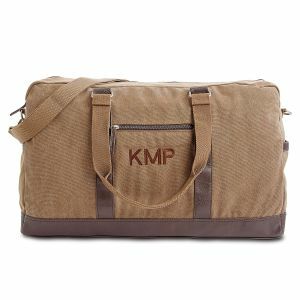 A men’s monogrammed duffel bag might be just the ticket for your jet setter’s next birthday or holiday gift. There’s nothing more frustrating than trying to determine which bag is yours among all the luggage at the airport baggage claim, but you can eliminate the search for the right bag with the gift of a personalized duffel. Add a personalized tie travel case to keep his favorite accessory in tip-top shape, and he’ll be the best-dressed traveler on the plane! Placing a favorite photo on a photo canvas is a great way to celebrate an anniversary and show your spouse just how much they mean to you. It can be a photo of the two of you sharing an adventure together, or a candid photo from your wedding day. Photo gifts like these are sentimental and show that you took time to put together something special and meaningful. How about a special gift for the men in your life? Find personalized gifts for men including monogrammed shave kits and gifts for the grill master. Or maybe your favorite uncle is a handyman extraordinaire who would be thrilled to receive a personalized hammer for all his special projects. If the man in your life is a beer lover, go no further than our collection of bar and pub gifts for the perfect beer glass or bottle opener. For the dog and cat owners who love their pets, there are lots of wonderful personalized pet gifts including dog bowls, ornaments and blankets. Lillian Vernon offers our customers a wide assortment of personalized gift for women. 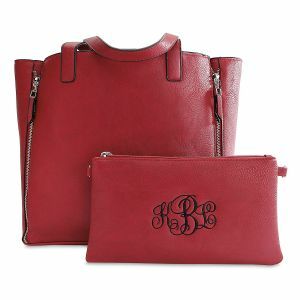 From monogrammed totes to birthstone jewelry, a custom gift will have extra special meaning to the person receiving the gift. Do you have a favorite aunt who loves to cook? Why not get her a personalized cookware like our personalized ceramic baking dish for all those potlucks she attends? She’ll always be sure to get her dish back once all the fun is over when her name is proudly displayed right on the casserole dish. 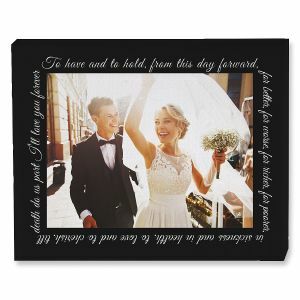 Weddings, anniversaries, birthdays, Mother’s Day, Father’s Day, Christmas, there are many special occasions where giving a personalized gift would be appreciated. Personalizing a special gift gives that gift a unique quality that everyone can appreciate. The next time you’re tempted to run out to the shopping mall and pick up a generic gift, shop our online catalog instead and find something personal for that special someone; you’ll both be glad you did!